The institute has successfully imparted English language skills to thousands of students & professionals. 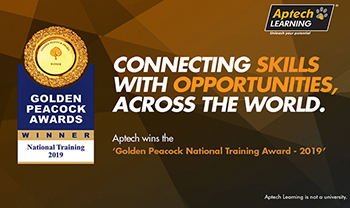 Aptech’s courses range from beginner to advanced level, and each course has clear learning aims. Our faculty work to ensure that these aims are met. With the help of a wide network of centres, Aptech aims to reach out to people across all walks of life.